Porur is a suburb in West Chennai. The locality is an emerging IT hub and rapidly growing commercially developed area. Within 5 kilometres radius from Porur, there are many IT SEZs are based including DLF IT Park. The locality is well-connected with many major roads, highways and flyovers. All this has made the connectivity smoother and major destinations like Chennai International Airport and Arumbakkam Metro Railway Station are in close proximity to Porur. Its strategic location at the junction points of some major roads including Mount Poonamallee Road, Arcot Road and the Chennai Bypass Road makes this locality easily accessible to the other parts of the city. Being a prime residential area in Chennai, it is surrounded with countless social infrastructure facilities including school, hospitals, banks, shopping destinations, café’s, restaurants and multiplexes etc. With the development of many IT industries, chemical plants and medium-sized businesses, the area has the leading employment opportunities. Despite of Chennai’s hustle and bustle, this area is still more relaxed and less-polluted. Porur provides open and fresh environment to its residents. The connectivity of this area is very smooth. Many four to six lane roads nearby this locality, makes the transportation system smoother. 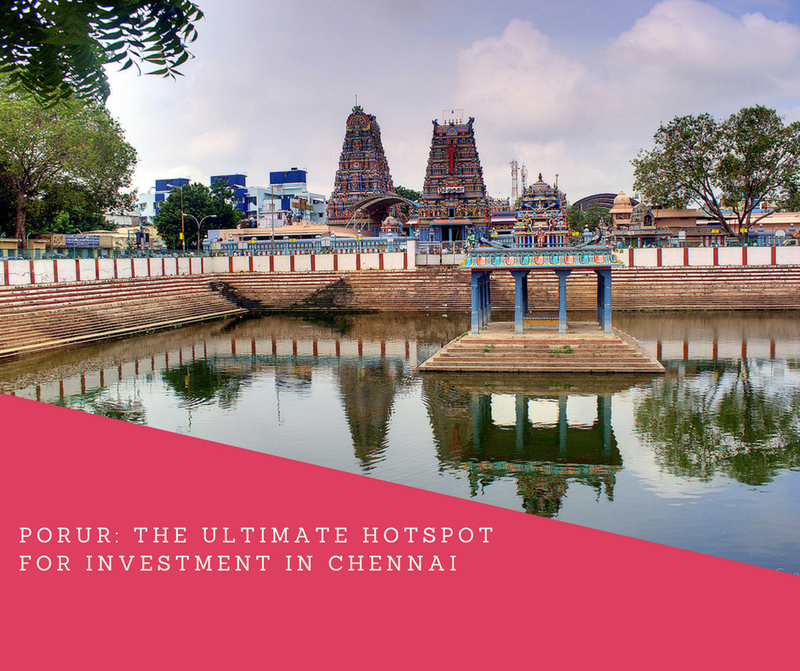 In comparison to other developed localities nearby, which can ensure high-end living and have huge employment opportunities, Porur is still very much affordable for an investment purpose. With rising demand for luxurious living in Porur, all the leading developers are offering high-end residential apartments here. With the same intent and putting more efforts regarding transparency, Shriram Divine City offers luxurious apartments of 2 and 3 BHK near Porur.The meticulously designed apartments are ultra-spacious and have all the amenities inside its premises which are required for an urban chic lifestyle. The apartments’ sizes vary from 600 – 1286 sq. ft. and the affordable prices of which range from Rs. 29.60 lakhs to Rs. 53 lakhs. The premises at Shriram Divine City Chennai offers world-class amenities and every modern facility including swimming pool, gym, security with CCTV, parking, play area, indoor games, joggers track, landscaped gardens, club house, community hall etc. to the residents living here.